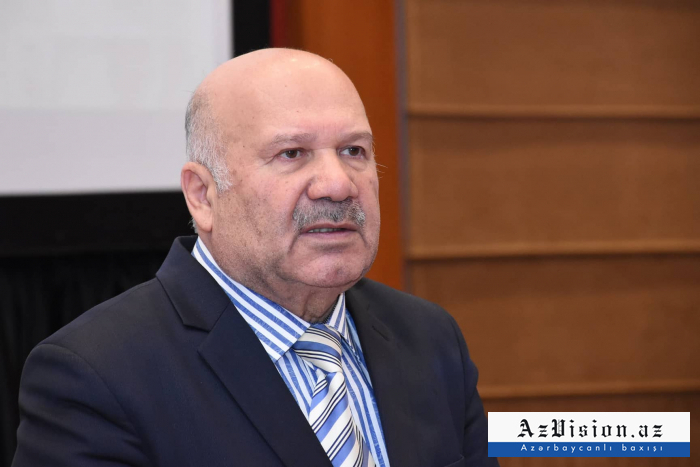 'Monoethnic Armenia demolishes ancient religious and cultural monuments in the occupied Azerbaijani lands,' first deputy chairman of the State Committee on Religious Associations of the Republic of Azerbaijan Sayyad Salahli told reporters. 'The world nations do not accept this policy of Armenia. Although these actions of Armenia are condemned, international organizations and big states do not show their attitudes on this matter. Certainly, we cannot reconcile with the occupation policy. We show our attitudes in various directions,' deputy chairman stated. 'Those cultural monuments are the history of our nation. By destroying our cultural values, Armenians want to claim that Azerbaijanis have not lived in those territories. Armenia demolished 367 historical monuments, 67 mosques, 140 sanctuaries and 140 temples in the occupied territories of Azerbaijan,' Salahli stressed.